Head of the People's Front faction Maksym Burbak said that Prime Minister Arseniy Yatsenyuk may resign but under certain conditions. He told reporters after the President met with leaders of parliamentary factions and groups, Ukrinform reports. "Premier said at the meeting: please show 226 votes for a new candidate for the premier, form a team, demonstrate the government action program for 2016. However we are ready to start consultations on the future of our participation in the coalition," MP Burbak noted. Meanwhile, the head of the Samopomich faction Oleh Berezyuk said he did not hear from Prime Minister about his readiness to step down. 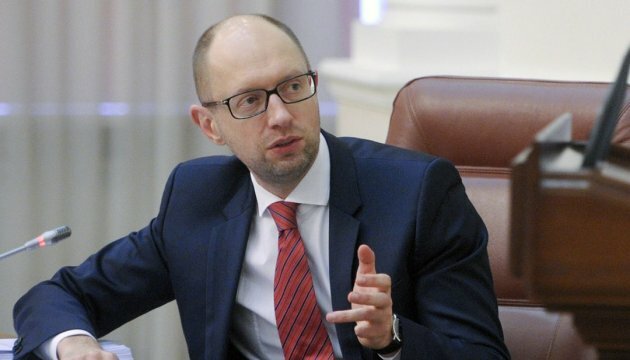 "I personally have not heard of this (Yatsenyuk’s readiness to resign - ed.). He made his speech where he could have hinted at it, but the clear position that he is resigning I have not heard," said MP Berezyuk. Earlier, leader of the Radical Party faction Oleh Lyashko also said that Yatsenyuk was ready to step down.